The Auto Glass Express team has been serving the Twin Cities auto glass repair needs since 1994 and is locally owned by Lynn Dahle. We're based in White Bear Lake, MN and serve the entire Minneapolis-St. Paul metro area. Customer satisfaction is one of our top priorities at Auto Glass Express. Our phones are answered locally by experienced CSRs who know the Twin Cities area and how to get you the service you need. In addition, we offer a lifetime warranty on our work for as long as you own your vehicle and we work with all insurance companies. We work on all car makes and models including luxury brands such as BMW and Mercedes, and our technicians are all NGA, PPG Pro Star and Dow Chemical certified. In addition, we are rated as an A+ business by the Better Business Bureau and we've also earned AGRSS certification from the Auto Glass Safety Council. 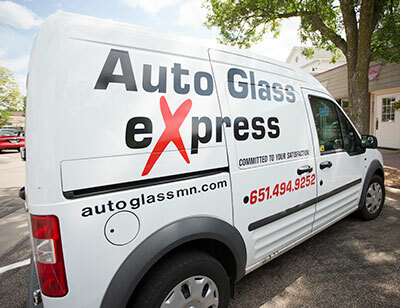 Auto Glass Express is very active in local organizations such as the White Bear Lake Rotary, acts as a sponsor for local events and also works with the 916 school district to offer scholarships each year.